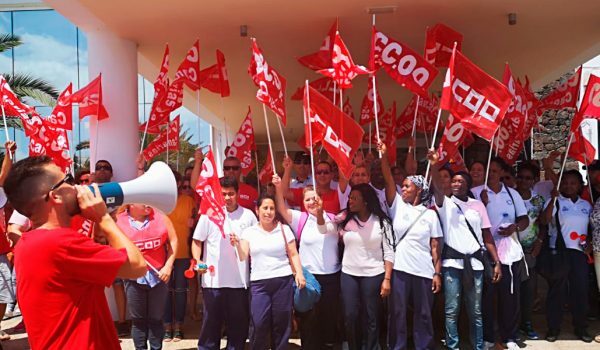 Housekeepers and valets at the Hotel Be Live Experience in Lanzarote (Canary Islands) ended their ongoing industrial action on September 6 with a vote in favor of a pre-agreement that establishes a negotiated framework for reducing the intolerable workload on housekeepers, guarantees more hours to valets and establishes more permanent positions. Read more about Reinstate #TheCargill14 now! 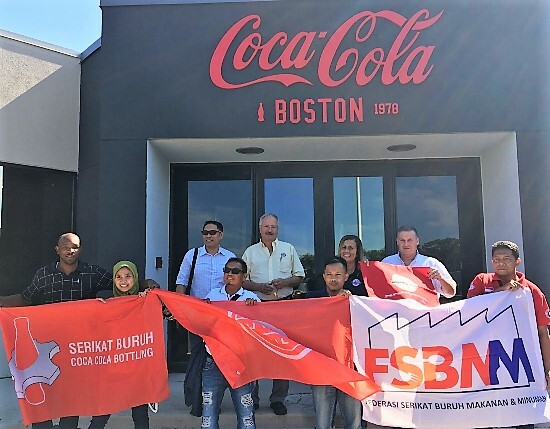 Protest actions were launched by HLOB, the IUF-affiliated hotel and tourism workers' union federation in the Bagan, Myanmar, to denounce rights violations at The Hotel Tharabar Gate. On August 24 management terminated 12 workers including the union chairperson, two union executive officers and seven union members. Workers at TGI Fridays restaurants in the UK held a new series of strike actions in their on-going dispute over tipping and minimum wage abuses. The strike from August 23 to 26 was timed to coincide with a UK public holiday. IUF affiliates in West and Central Africa have affirmed their determination to defend workers' livelihoods and work together for a peaceful resolution to the worsening crisis in Cameroon. 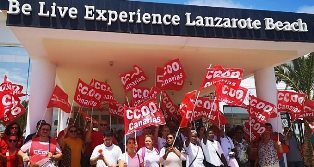 The housekeepers and valets of the upscale Hotel Be Live Experience in Lanzarote, in Spain's Canary Islands, are on strike against outsourcing and precarious jobs. Workers are required to clean up to 26 rooms per shift in addition to cleaning other areas, compelling them to work up to 10 hours a day without stopping to eat to complete their assignments. 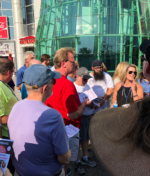 On August 13 members from IUF affiliates, including supporters from the IUF's affiliate BCTGM from across the USA and Unite Here's Las Vegas Local 226, put the spotlight on The Coca-Cola Company's multiple human rights abuses in an action outside the flagship Coca-Cola store on the Las Vegas strip. New legislation adopted by New Zealand's Parliament provides victims of domestic violence 10 days paid leave to allow them to ensure their personal safety. Under the law, which comes into effect in April 2019, victims will not be required to provide proof of violence and will have access to flexible work arrangements to facilitate their safety. The jury in the Dewayne Johnson v. Monsanto Co. court trial has found the company guilty of concealing the dangers of glyphosate, the world's most widely-applied herbicide, and awarded the terminally ill groundskeeper total damages of USD 289 million. 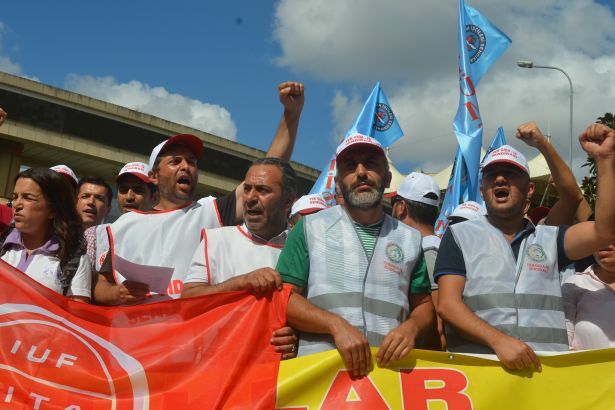 IUF Young Workers are organizing and taking back power: actions took place across the IUF regions on August 12, International Youth Day 2018.